Crash Reports are essential, if often opaque, guides to problems in your app that every developer has to deal with from time to time. For small enterprise developers like myself, commercial analytics aren’t really an option. And while there are open source alternatives like UKCrashReporter, I’ve been lucky enough to suffer relatively few crashes and typically just ask users to manually submit crash reports (stored in ~/Library/Logs/DiagnosticReports) as and when they occur. Choosing a method of collecting crash reports is one thing, but scouring them for useful information is quite another, and the reams of data often included can seem a little overwhelming. It’s at this point that you need to enlist the help of the built-in command-line tool atos. In the remainder of this post, we’re going to learn what it does and how to use it to find the line in our source code that caused the crash. The beauty of atos is that it will give you a reference to the source file, function and even line number in your code where the crash occurred. Given that it can do this for a crash that occurred on another user’s machine that you can’t reproduce locally and don’t have access to, this seems like nothing short of magic. The output from atos tells me the name of the Swift source file, the name of the function and — here’s the truly wonderous part — even the line number: 4042. This is all part of the magic of symbollication, which is such an esoteric word I’m not even going to try to spell it again :-). Instead, let’s just get down to the practical nitty-gritty of how to get this kind of data out of our users’ crash reports. 1. Create a folder called “CrashWork”. 2. Go to Xcode’s ‘Organizer’, and right-click on the archive of the version of the app that crashed. Important: Be sure you’re working with the same version of your app as the user; atos needs that to match up the addresses in the crash report, and any other version will produce incorrect results or an error. Just a quick post to let y’all know of a couple of updates to my apps. 1. OSXClock v1.8 has got a few new features including a handy ghost mode and variable transparency. Even better, I’ve removed the time-limit on the demo version, so you can now use OSXClock for free indefinitely (well, if that’s not an excuse to download it I don’t know what is… 🙂 ). 2. DetectX v1.21 now has the ability to trash files found in the search. I didn’t really want to add this, but so many users were having problems finding the invisible files belonging to MacKeeper I didn’t really have much choice. Note that the “Trash” function may require entering an admin password for each and every file that is outside of the user domain. DetectX is, of course, free to download and use, though donations are appreciated if you find it useful. 3. App Fixer is now out of beta and into first public release, version 1.0. Along the way it’s added a couple of extra fixes for Safari browser hijacks. 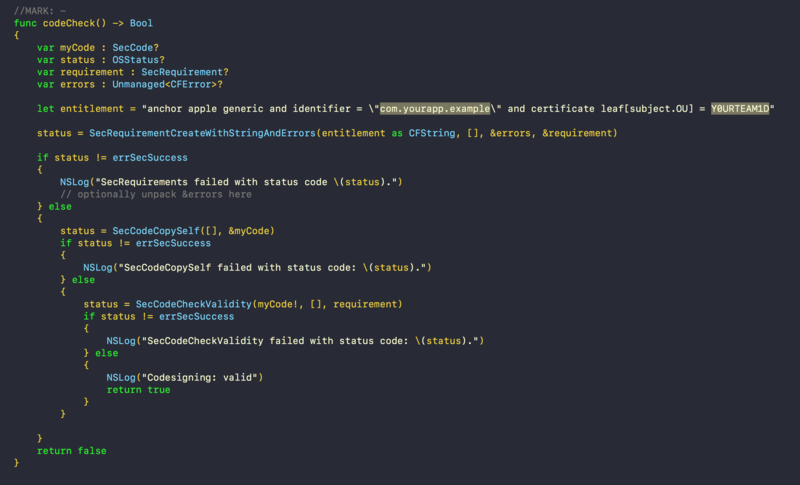 Scripters and coders are forever battling errors, and access to information on Apple’s error codes is always a bit of a hunt and dig around header files or documentation. Now thanks to Seth Willits from Araelium group, there’s a handy free search tool to spare us the effort.